Did you know that most of us are 80% - 90% deficient in the basic nutrients that our body needs to function properly? In this video Doc Nuzum talks about the importance of the 2nd INSPIRED pillar of health - Nutrition. Join Organixx HR manager Caroline Harland as she shares her challenges overcoming hypothyroidism and her top tips for keeping herself & her family healthy. Diet vs. Lifestyle. Making healthy eating a lifestyle is a matter of 3 steps. Weight loss expert Dr. Susan Pierce Thompson explains. Do you have an inspired health journey to share? We want to talk to you! Jonathan explains our new INSPIRED Health Journeys video series. Sticking to a Healthy Diet with Susan Peirce Thompson: "Health Talks"
Weight loss expert Susan Peirce Thompson tackles the problem of how to stick to a healthy diet when you’re under pressure from loved ones to indulge. This week’s podcast tells the inspiring tale of Organixx founder Jonathan Hunsaker where he opens up about his ongoing struggle to achieve his health goals. In this week’s episode, we bring you Part 2 of our discussion on juicing benefits and why you should drink green juice daily. Enjoy this juicy conclusion! Your body might be giving you signs of a vitamin B deficiency, but do you need vitamin B injections? Join Dr. Nuzum and discover when they’re beneficial. This week Jonathan & TeriAnn share their juicing tips & experiences as they count down their top 10 health benefits to juicing! What are ways to benefit from medicinal mushrooms without taking them as supplements? Join us for this essential health lesson in clean, safe nutrition. Do you love chocolate? Us too! Discover all the health benefits of chocolate plus these 7 delicious healthy chocolate recipes perfect for Valentine’s Day. Getting ready for “the big game”? These 5 healthy, real food Super Bowl recipes are the perfect way to snack and stay fueled through all the excitement! Looking for easy ways to be healthy? Check out these tips and healthy substitutions that will improve your health and that of your family. Make your holiday a little healthier with these 11 delicious healthy holiday recipes made with real, low sugar, gluten-free, dairy-free, vegan whole foods. Do you follow a vegan or plant-based eating style? Discover the benefits of vitamin B12 and some of the best B12 sources for vegans. Vitamin deficiency is exceedingly common. Doc Nuzum shares the most common vitamin and mineral deficiencies he sees in his practice and signs to watch for. What is senescence? Join Dr. Nuzum for this installment of “Doc Talks” to discover the four key ways that aging impacts your mind and body. What are the benefits of zinc? In addition to being vital for your immune system and brain, zinc is needed for collagen to work properly in your body. Have you heard of collagen, but aren’t sure exactly why it’s so good for you? Here are 12 important collagen benefits for physical health and more. Fenugreek seeds benefits have been known since the time of the ancient Egyptians and are commonly used in Ayurvedic medicine today. Get the inside scoop here. Have you heard about maca root? Discover how this adaptogenic plant can help ease hormonal fluctuations and its other amazing benefits for women’s health. Did you know that both low collagen and low vitamin C can lead to saggy skin, wrinkles, and chronic disease? 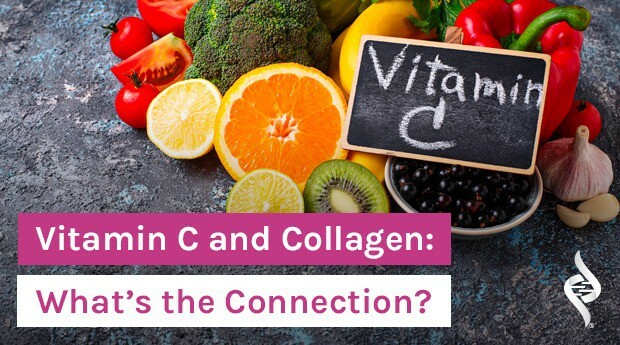 Discover more about vitamin C and collagen. It seems like everybody is talking about collagen and for good reason! But what is collagen and what can it do for you? Here’s what you need to know. Your body is a brilliant machine that needs enzymes to function. Discover the 3 main types of digestive enzymes and where to find them. Should You Avoid Fermented Foods If You Have Problems with Recurring Intestinal Yeast? – "Ask the Doc"
Do you have candida issues? Get some tips from Doc Nuzum on what role fermented foods can play in the issue of recurring intestinal yeast. When is a Good Time to Eat Gut-Friendly Fermented Food? – "Ask the Doc"
Should you consume fermented foods before or after a meal? Join Dr. Nuzum for a holistic health lesson on the benefits of fermented foods. Soil depletion is not an issue you might have given much thought to, but it matters. Plus get four tips for staying strong in a nutrient-depleted world. It’s an ingredient in almost every processed food and a popular substitute for animal products… but is soy good for you? Do you find yourself reaching for antacids more often than not? Dr. Nuzum discusses why acid reflux happens in your body and signs you have low stomach acid. If you constantly feel tired, moody, and unable to seize the day, you might be lacking in a critical nutrient: Methylcobalamin B12. Did you know that most of us are 80% – 90% deficient in the basic nutrients that our body needs? In this video, we talk to Doc Nuzum about nutrition. Do you feel fatigued or tired? 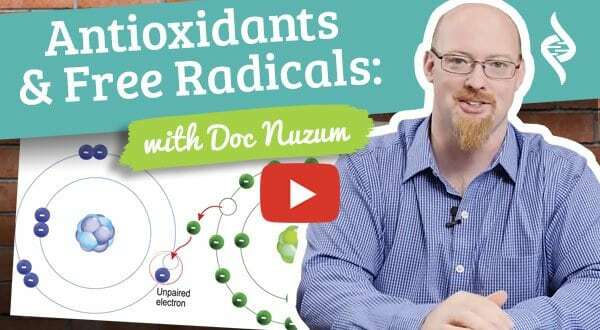 Then you need to watch this video as Doc Nuzum explains the role of antioxidants and free radicals in preventing fatigue. Discover how digestive enzymes for dogs and cats not only improves digestion, but can help them live longer, healthier lives. A healthy diet for dogs and cats has one vital ingredient that most brands of pet foods (even premium ones) are often missing. Discover the 7 most common vitamins & minerals people are lacking and 11 tell-tale signs you’re deficient in one or more key nutrients. Being tempted by sugar-laden treats during holidays or while on vacation is common. Here are 6 easy ways to stop sugar cravings and get back on track. Discover how eating with the seasons and adopting some ancient principles can help keep your digestion on track as the weather turns colder. What can Americans learn from other cultures about health? A lot! Check out these 4 health lessons that have influenced the West for the better. Mushrooms contain some of the most potent beneficial ingredients found in nature. Here are some handy tips for buying & cooking mushrooms. Discover how the food industry uses food grade essential oils, plus tips for the health-conscious shopper and home cook. You may have heard about the numerous health benefits of turmeric and its active compound curcumin. But how much do you know about turmeric and skin? If you’ve ever wondered how many times should you chew your food and why chewing even matters in the first place… here’s the answer. Aloe vera is good for much more than just minor burns. Discover the long history and recorded benefits of Aloe vera – both past and present. As we age we learn that great looking skin comes from the inside out. Are you consuming these 7 foods good for skin on a regular basis? The Ayurvedic Diet: Ancient Food Ideas for Modern Day Health? The ayurvedic diet reveals age-old principles you may find beneficial for modern day health and eating habits. Discover too why turmeric is a valued tool. Spring is here! It’s time to get your hands in the dirt or head to your local farmer’s market to pick up some of these 6 healthy spring vegetables. Try this tasty recipe for quinoa-stuffed peppers that’s made with quinoa cooked in bone broth instead of water for extra protein and flavor. They may be tiny, but chia seeds benefits are huge for your health. Discover why this prized ancient food is now a modern day superfood. Want to keep your joints limber, flexible, and healthy? Discover 5 nutritional “Do’s & Don’ts” for supporting good joint health. This “poor man’s food” is one of the best-kept secrets of the “superfoods” revolution. Discover the many incredible watercress benefits. Millions of Americans suffer from digestion problems. Here are 5 tips that can help to alleviate many digestive disorders. Enzymes are the foundation upon which human life exists. Discover the three types of enzymes your body needs for optimal health. Check out this quick and tasty Mushroom Miso Soup Recipe that features the health-boosting benefits of bone broth, miso, and mushrooms. When it comes to superfood nutrition, there are 6 major categories that are a starting point for fast-tracking your way to real health. Discover them here. If you’re a chocolate lover, here’s a quick, delicious, and healthy Mint Smoothie Recipe featuring chocolate or pure unflavored bone broth powder. It’s got a centuries-old history of therapeutic use. Now discover what modern day researchers are finding about the health benefits of bone broth. Discover the difference between probiotic and prebiotic and some of the best prebiotic foods to support your gut microbiome and overall health. Have you heard about the numerous health benefits and are wondering how to make bone broth at home? Follow this simple step-by-step guide. Ginger is a potent aromatic herb and a good natural source of vitamin C and a number of minerals. Discover the many amazing health benefits of ginger. Should Women Consume Turmeric During Pregnancy? There’s been extensive research showing all the incredible health benefits of curcumin and turmeric. But is it safe to take turmeric during pregnancy? Cognitive and physical decline happens as you get older. Here are 5 of the best anti-aging foods to help stop the effects of aging on your mind and body.